Online advertising is one of the fastest growing segments of advertisement. According to emarketer, for the first time in 2012, online advertising will outpace print advertising with $39.5 billion sales. The tremendous increase in online ad spending is expected to continue and reach $62 billion by 2016. 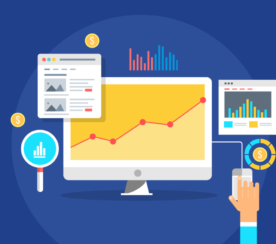 Needless to say, online ads are continuing to gain more attention and budget dollars from marketers, advertisers, and publishers than ever before, as this element becomes essential as they start becoming more dominant in the advertisement industry. Chitika Insights is in the unique position to be able to tap into our vast network to gain a better understanding of online advertisements as it relates to the behavior of consumers. 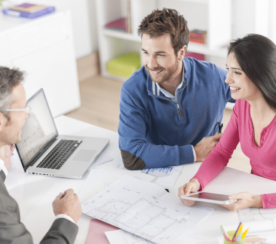 One of the elements we can analyze that holds a significant level of importance is location. In the world of online advertisements, the location or placement of the ad is generally classified by two categories; above or below the fold. The concept was derived from newspapers, which refer to ad placements by where they fall in regards to the “fold” in the paper. In online media, this refers to placement on the page that is visible without using the mouse to scroll. Chitika Insights investigated the importance of ad location on a webpage by distinguishing between ads above and below the scroll. Our research study was conducted to help understand the importance of the placement location for online ads, and how this may affect the overall performance of the ad. Using a sample of hundreds of millions of impressions, we analyzed screen size and location to categorize the data into two groups. The study utilized a sample set spanning a week between February 1 and February 8, 2012. As expected, ads above the fold yielded a higher click through rate (CTR) with an average CTR of 76%. 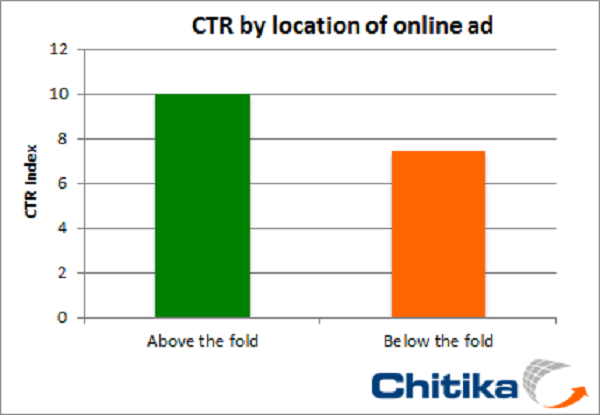 Our study shows that above the fold ads result with a 36% higher CTR than those falling below. 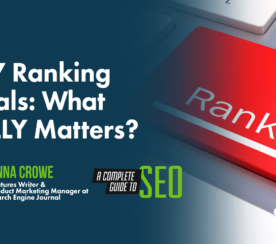 The main reason for the higher CTR may be related to the attention span of users. According to a previous study conducted by Jakob Neilsen, users spend 80% of their time viewing information above the page fold. As users spend less time below the fold and lose their attention, any ads placed in that area are expected to have a lower CTR. For the online advertising industry, this research supports the fact that location is one of the most critical factors for click-through-rates and should be considered when developing retargeting spend plans and advertising strategies as a whole. 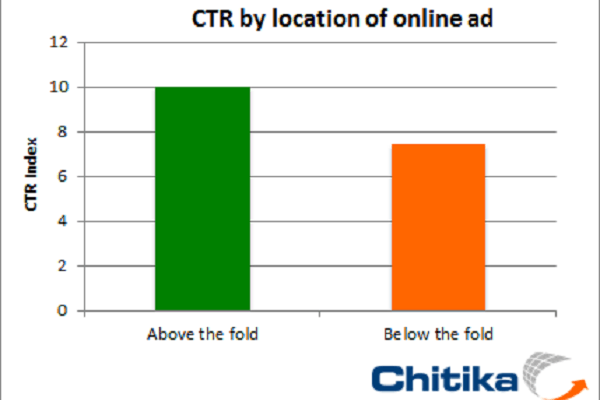 Check back with Chitika Insights for future studies on CTR and the online advertising industry.